Third Phase of Onondaga Commons Green Infrastructure Completed! 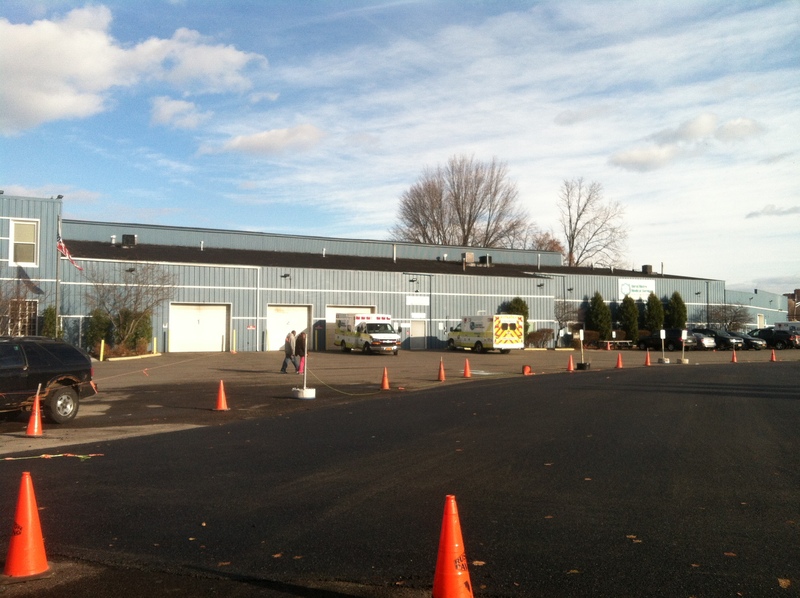 The third phase of the Onondaga Commons Green Infrastructure project, consisting of a porous asphalt lot at the Rural Metro facility located at 488 W. Onondaga Street, Syracuse, was completed on November 24, 2014. The project was designed to capture runoff from the surrounding asphalt parking lot and the Rural Metro building, estimated at over 1 1/2 million gallons annually. The project was designed by Natural Systems Engineering in partnership with Short Enterprises (Syracuse, New York). Construction was performed by Daly Construction (Sacketts Harbor, New York). This entry was posted in Green Infrastructure, Porous pavement, Stormwater Management and tagged Central New York, Combined sewer overflows, engineering, green infrastructure, green stormwater infrastructure, Onondaga County, permeable pavement, Porous Asphalt, porous pavement, Save the Rain, stormwater, Syracuse on November 25, 2014 by admin. NSE’s Urban Geothermal Project Featured on Spectrum News and ESF’s “Going Green” Program! Solar Power during the Eclipse! Porous asphalt vehicle display lot completed for Crest Acura! NYSERDA Launches $15 Million Initiative to Spur Ground Source Heat Pump Market!